Teltonika RUT230 is a compact, advanced router for demanding users. The device is both efficient and reliable. 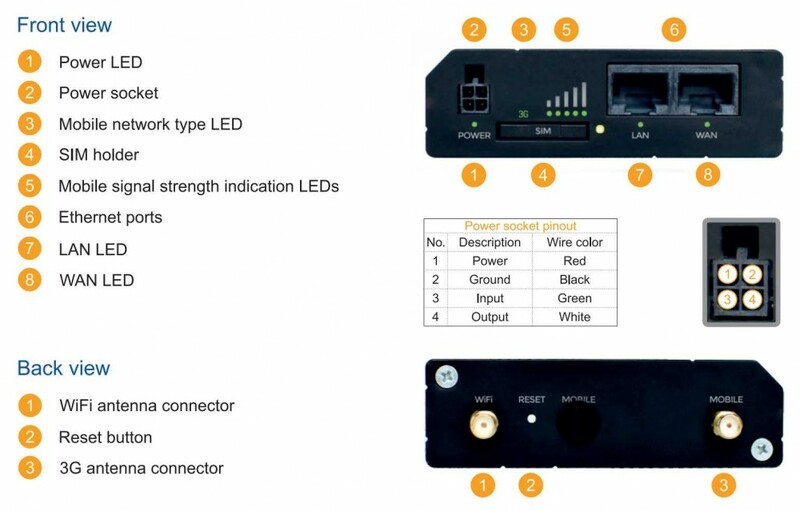 Its external SIM slot and LEDs indicating signal strength ensure convenient and easy network management. External ports enable you to attach antennas to quickly find the best quality signal. Why should you choose RUT230 over RUT500?